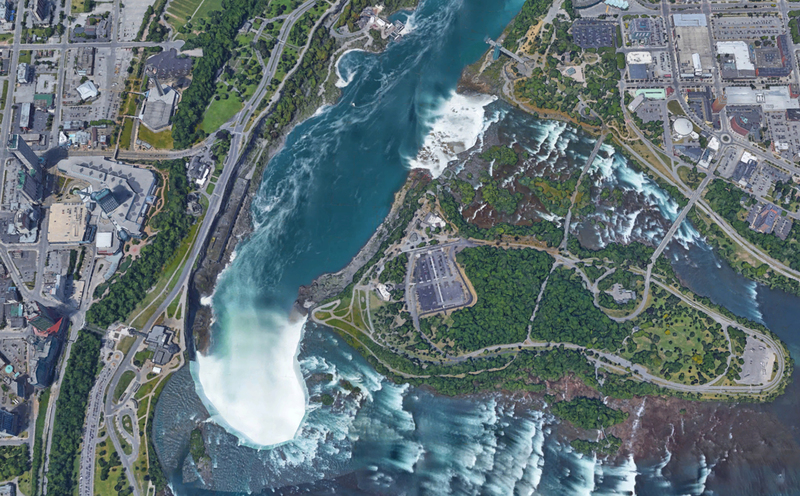 The waterfalls of Niagara Falls are located on the Niagara River which connects two of the five Great Lakes. 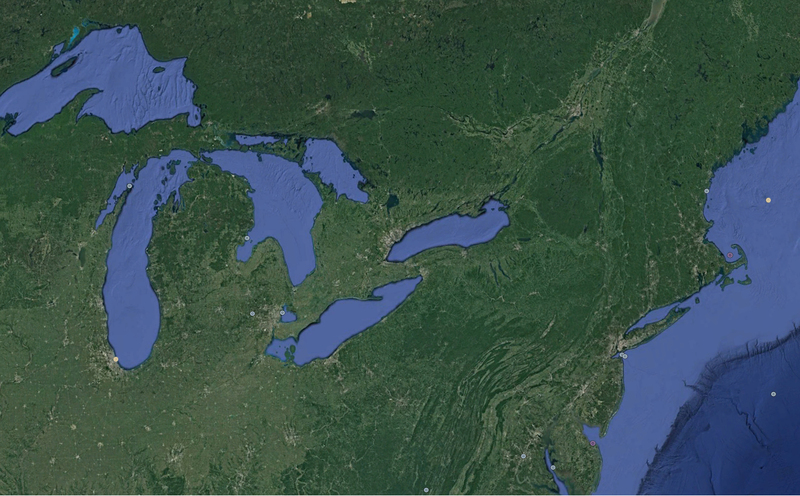 Lake Erie and Lake Ontario. Collectively the waterfalls are named Niagara Falls. They consist of three different waterfalls. 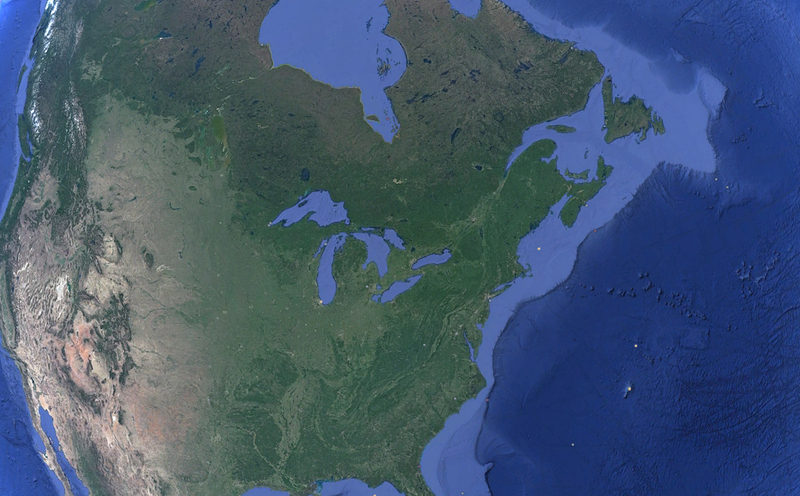 The American Falls and the Bridal Veil Falls in the USA and the Canadian “Horseshoe” Falls in Canada. 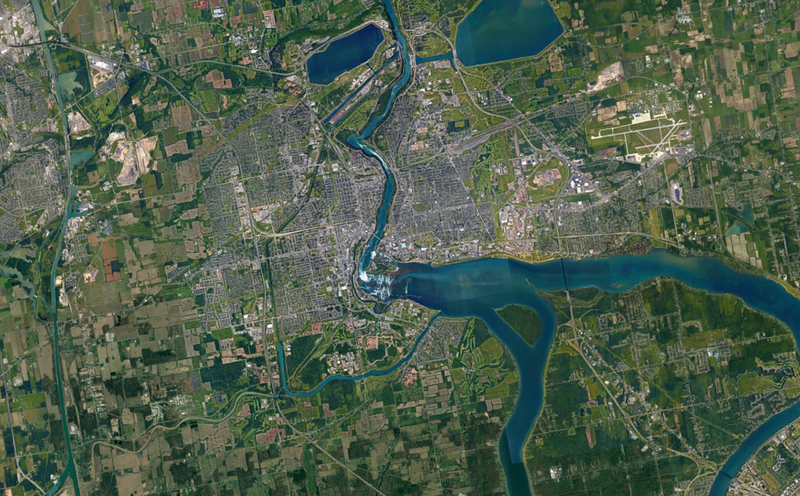 The Niagara River serves as an international border between the USA & Canada. There are two distinctive cities. 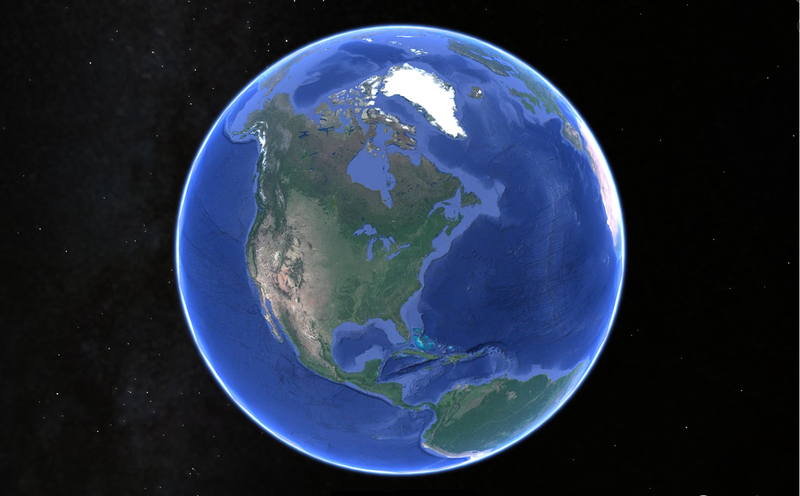 Niagara Falls Ontario, Canada and Niagara Falls New York, United States of America. 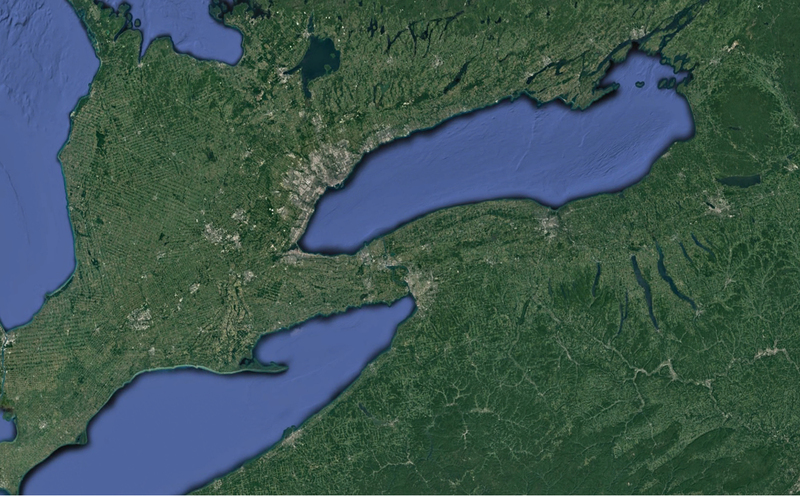 The next time someone asks you where Niagara Falls is, now you know! 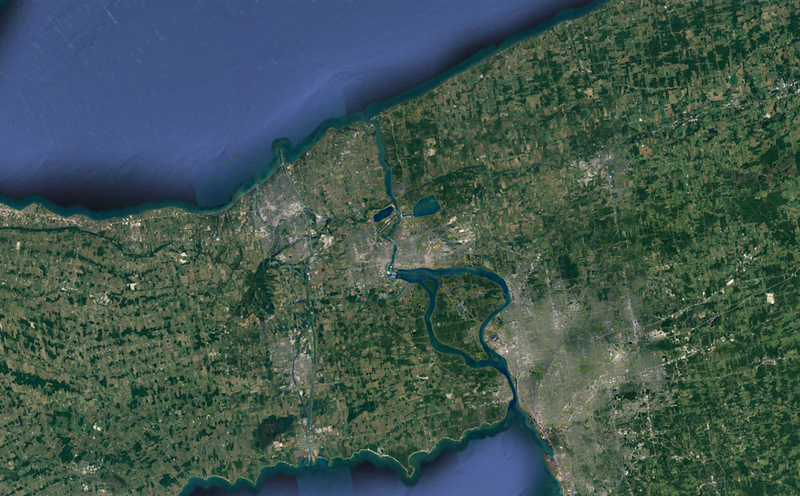 Need a Niagara Falls address for your gps or map program to get you to the Falls ? For the American Falls in Niagara Falls New York use 301 Prospect Street Niagara Falls NY. 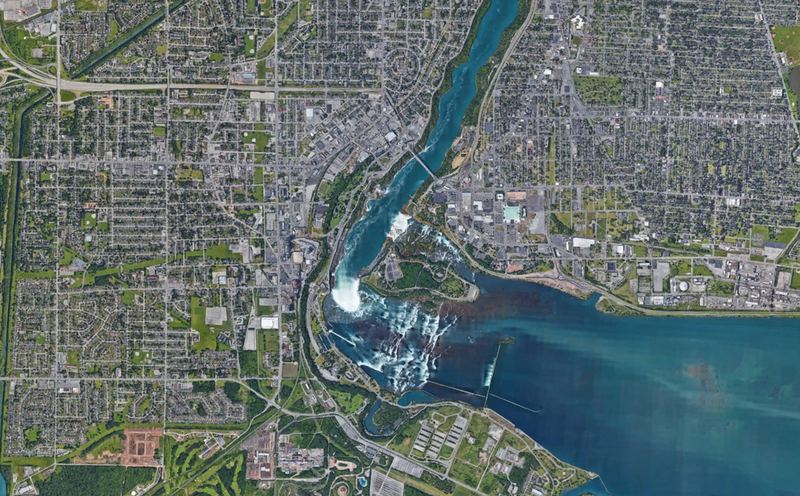 For the Canadian Falls in Niagara Falls Ontario Canada use 6650 Niagara Pkwy Niagara Falls Ontario Canada. For more information visit our maps page.